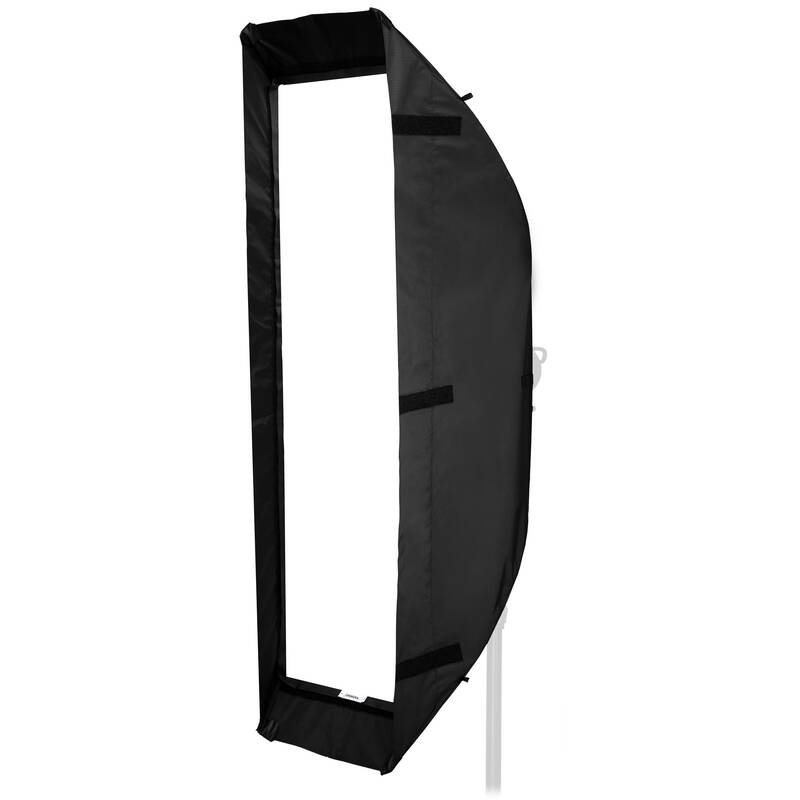 Soften the quality of light and tame the contrast your flash or strobe unit with this 14 x 56" Super Pro X Plus Stripbank from Chimera The lightbank features a soft silver interior that maximizes output while minimizing the harshness evidenced in some softboxes with reflective silver interiors. The long, narrow shape of the lightbank makes it ideal for edge lighting or for use as a hairlight, while it creates long, elegant catchlights in reflective objects such as glassware. The Super Pro X Plus also offers a removable "full" front diffuser that can be replaced with optional 1/4 and 1/2 versions for contrast options, while the removable inner baffle subdues the hot spot and exhibits performance with edge to edge evenness. You can use the front diffuser and baffle together, in any combination, or not at all to achieve the look you'd like for your subject. Part of a system, the lightbank accepts optional modifiers that include fabric and metal honeycomb grids, as well as fabric barndoors.